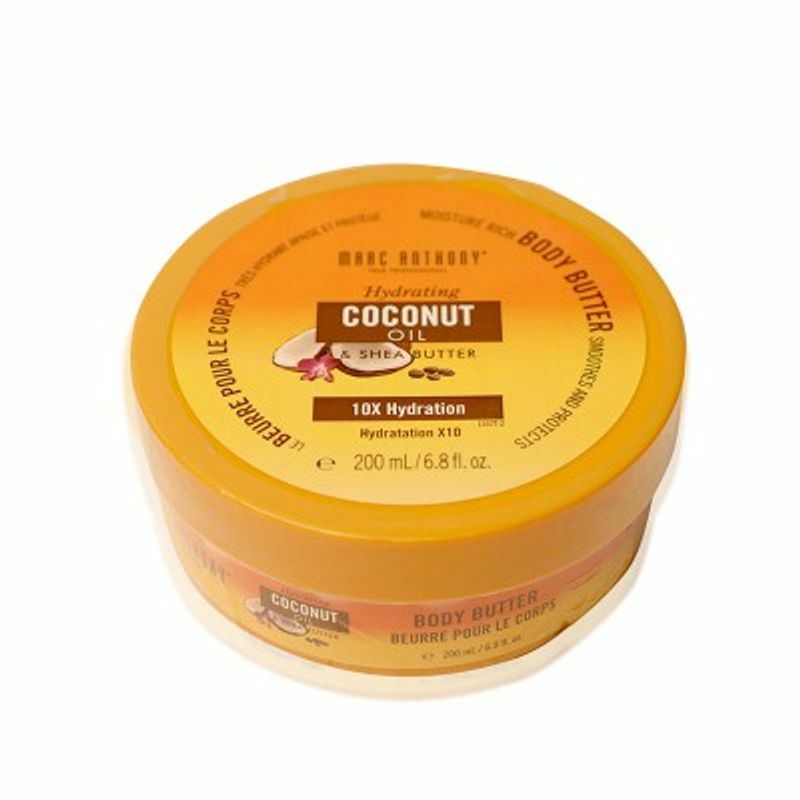 Marc Anthony True Professional's Hydrating Coconut Oil and Shea Butter Body Butter is a rich and deeply moisturizing body butter which is infused with Tropical Coconut Oil, Chamomile, White Tea and Shea Butter to penetrate extra dehydrated skin for lasting moisture and nourishment. It revitalizes dry, tired skin creating a youthfully soft glow. Perfect for all skin types. Fast absorbing. Available in a full size jar or convenient travel size packets.